Prime Minister Benjamin Netanyahu and Defense Minister Moshe Yaalon, last night instructed the IDF to commence ground action to strike at the terrorist tunnels from the Gaza Strip into Israeli territory . 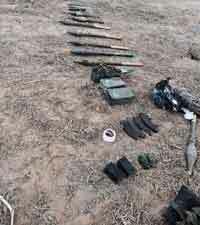 From Israel, J-Wire’s Michael Kuttner reports: “Israel begins a ground operation to destroy tunnels in Gaza which are being used to hide, manufacture and fire rockets against Israel. In addition these tunnels are command centers for Hamas and are used to infiltrate terrorists onto Israeli territory. Prior to this phase Hamas unleashed multiple barrages of rockets against central Israel.